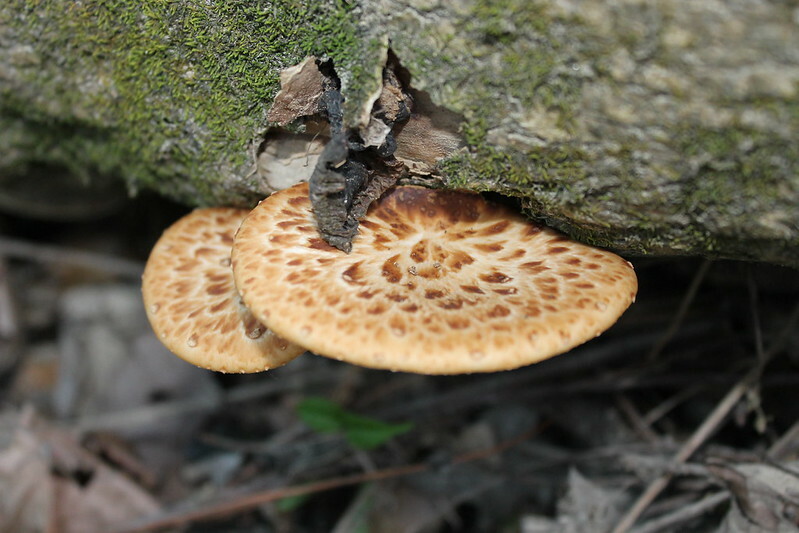 Heartland Outdoors Forum | Anyone ever eat these? 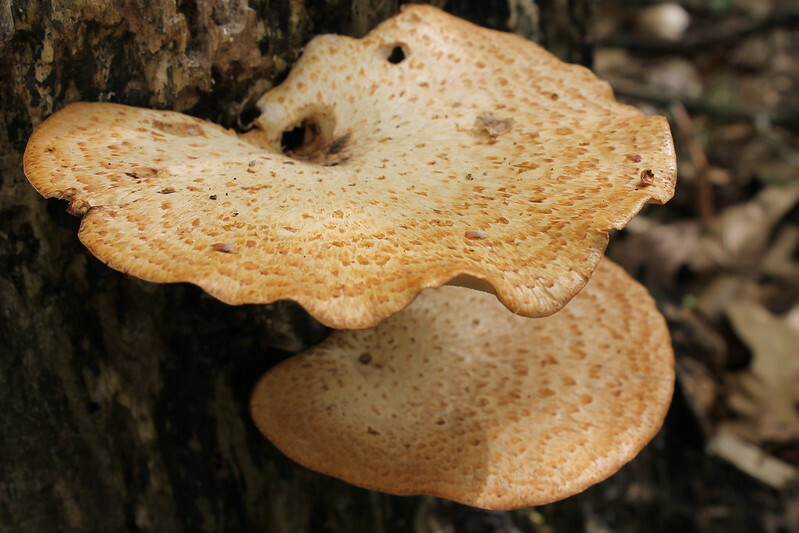 I have found a bunch of Polyporous squamosus A.K.A. Pheasant’s Back this spring. I have read that it is edible but not the greatest, heard it tastes like celery. I have yet to have anything fried that I did not like though. I love to photograph it but have yet to bring any home to eat. Anyone here eat it? I too have also thought about trying them, I wonder if ya boiled then fried if they wouldnt be more tender? Will do, I am definitely going to try it. Here is what the inside of them look like. 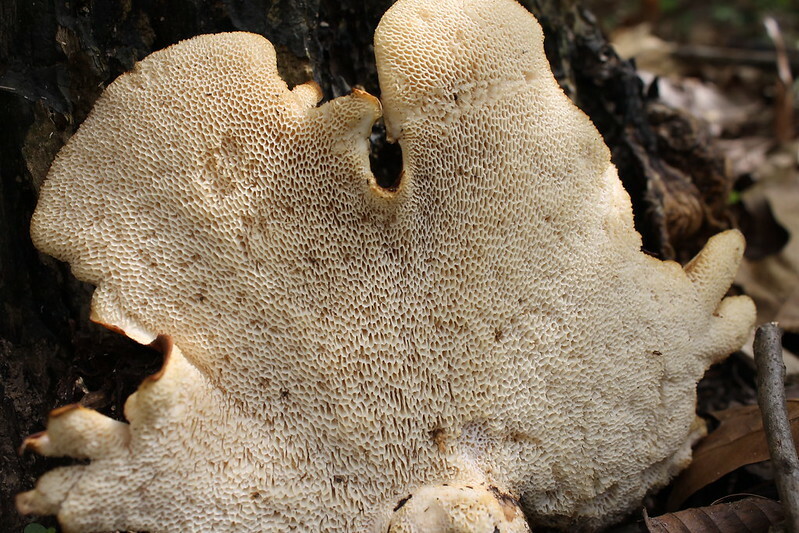 The bottom yellowish part where the pores are is similar in texture to Morels, but the middle white portion feels like spongy foam. That is the part that worries me. But like I said, if I fry it it can’t taste that bad. A while back that would not have worried me. I will ask some experts to make sure I have what I think before I eat them. 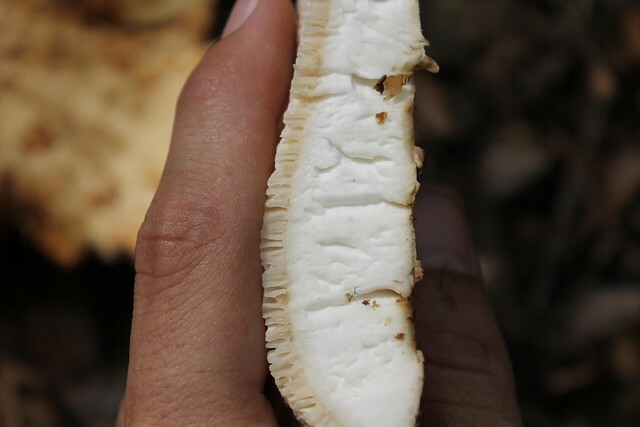 Actually the site I go to for most of my mushroom I.D.‘s is a Magic Mushroom forum, but they love all kinds of Fungi there. I won the Mushrooms of Il book from Gretchens contest, once I get it, I will see if I can find any information in there for you as well and let you know. Good to know G. I think they look cooler when they are small anyway. You can really see why they got their common name. I only pick and eat morels,but I always thought those were elephant ears??? Or are they one and the same,I also heard they are good too eat when small. But have always been afraid to try. We ate some of those this year, no double vision or anything weird like that. I recommend using the edges where it is easy to cut (if you have a hard time cutting through them not worth it) and then frying them in butter and then dust them in garlic salt. Also you need to cook them shortly after you pull them off of the tree. The longer they sit the tougher they become and not worth eating, kind of like chewing leather. They have a sweet taste to them if they aren’t to old, really good!!! Thanks OutdoorsWoman. Will keep that in mind.